Want to take your performance to the next level? You already know that improving your sprinting speed and vertical jump with help you dominate the competition. However what is the best way to do this? Traditionally athletes used plyometrics, speed drills and Olympic-style weightlifting. However there is a newer exercise for building explosive power that is starting to attract attention in the research world as a great way to run faster and jump higher. The new kid on the block for building explosive power is the hex bar jump squat. It involves taking a hex or trap bar (which is a specialty bar that is traditionally used for deadlifts and shrugs) and doing jump squats with it. Here is what it looks like. I have used the hex bar jump in my own training and with my athletes. One of my frustrations with the lift is that there was limited research done. However, last month, the Journal of Strength & Conditioning Research came out with a study that looked at the relationship between the hex bar jump squat and athletic performance. The study used 17 male professional rugby players. This is always cool to see a study done with elite athletes who are strong and experienced in the weight room (too many studies use beginners). Researchers had subjects stand on a force plate and tested them with the hex bar jump squat at 10, 20, 30 and 40% of their Box Squat 1RM to find the load that produced greatest power output. Then they tested the athletes’ 10m and 20m sprint times and their vertical jump. Afterwards, researchers crunched the numbers to see the correlation between their peak power in the hex bar squat jump and the athletes’ performance (sprint times and vertical jump). The results found a significant correlation between hex bar jump squat power with both vertical jump and sprinting acceleration speed (10 and 20 meters). This study went about trying to answer the question the easy way. It is nice to know that there is a correlation, but as a strength coach, I want to know what this means in the real world. What we really need is a study that has one group of athletes as the control (just strength training), one group that does strength training plus Olympic-style weightlifting, one group that does strength training plus barbell jump squats and one group that does strength training plus the hex bar jump squat. 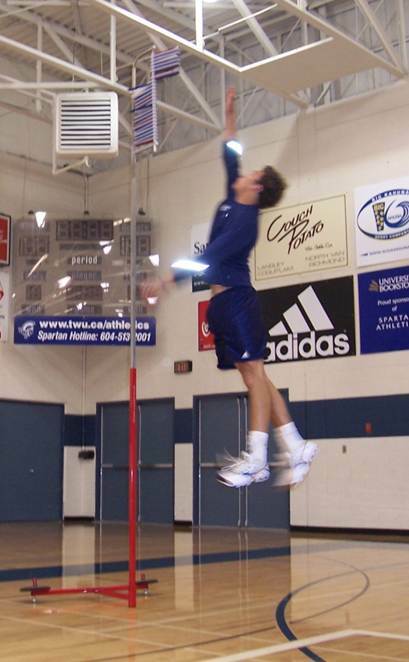 Have them train for 12 weeks and see which group made the biggest improvement in their vertical jumps. Then we will know if hex bar jump squats are an inferior, superior or equally-effective alternative to other methods of improving explosive power. Athletes often have little time to train as it is. Exercises like the Olympic lifts require time to teach and time to get good at before you notice the results. (Note: I still love Olympic lifts for many athletes, but they are a long-term investment). Also athletes already have their motor skill learning abilities taxed with learning the various skills required of their sport. As a result, simplicity in the weight room is helpful. When you do jump squats with a barbell, you land with your body weight and the weight of the barbell. This can put more stress on your lower body and more compression on your spine. With the hex bar jump squats, you can shoot your hips back on landing and let the weight crash to the ground and thus reducing landing stress. This can also help enforce good landing mechanics. Many sports (e.g. volleyball and baseball) place a lot of repetitive stress on the shoulder. Collision sports (e.g. hockey, football) also put a lot of stress on the shoulder. Hex bar jump squats place less stress on the shoulder than exercises such as jump squats and Olympic lift variations. With barbell jump squats it is easier to just jump with your knees. Strength Coach Joe Defranco (who was one of the first to use hex bar jumps) also points out that this lift makes it easy for athletes to get triple extension (i.e. hips, knees and ankles fully extended) which is very challenging for most athletes to get with exercises like power cleans. This month another study came out which looked at the optimal load for the hex bar jump squat. Researchers found peak power was between 10 and 20% of box squat 1 rep max. While this does not mean that heavier weights are not helpful, you may want to stay lighter with this one. 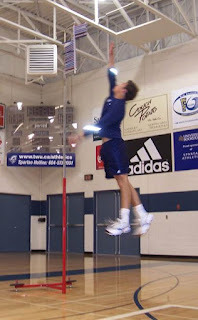 When using this exercise with my athletes, I'll often tell them, "Make it harder by jumping higher!" Hopefully over time, more research and real-world experimentation will be done on hex bar jump squats. If you have tried them, please let me know what you think of them in the comments section below or on my Facebook Page. Turner, T.S., Tobin, D.P., and Delahunt, E. (2015). Peak power in the hexagonal barbell jump squat and its relationship to jump performance and acceleration in elite rugby union players. Journal of Strength & Conditioning Research, May, 29(5), 1234-1239. Turner, T.S., Tobin, D.P., and Delahunt, E. (2015).Optimal Loading Range for the Development of Peak Power Output in the Hexagonal Barbell Jump Squat. 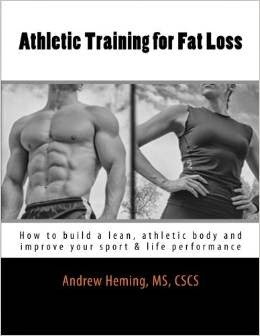 Journal of Strength & Conditioning Research, June, 29(6), 1627–1632.